Slow Food Seattle is excited to offer another unique culinary experience! 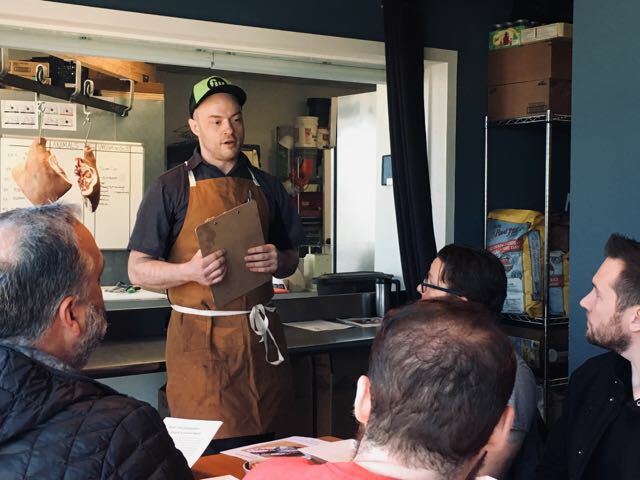 Join us at The Shambles, Neighborhood Bar and Butcher on Sunday, April 14th for an in-depth, hands-on salami making class with Chef Seamus Platt and Head Butcher Scott Johnson. Seamus and Scott will guide us through the fundamental steps in the art of making salami, introduce us to the equipment and processes used at The Shambles, and explain the differences between commercial and home production. They will address cutting, grinding, mixing, stuffing, fermenting and aging, and invite questions throughout the entire process. This class will give you the knowledge, printed curriculum, and (hopefully) the inspiration to try this time-honored practice at home. Pork for this event will be supplied by Michael Antoci of Pachamama Farms in Days Creek, Oregon. 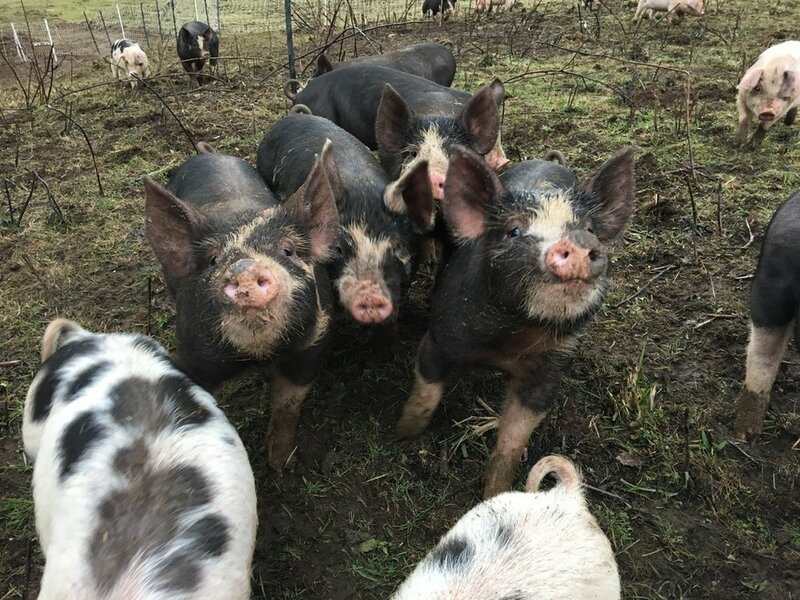 The American heritage breeds specially raised for The Shambles are fed a fatty diet heavy in spent grain and whey, and are free to forage for roots and berries in the woods and pasture. This sustainable practice creates ideal meat for salami. The partnership between Pachamama and The Shambles exemplifies Slow Food values, and we are thrilled to host this class with them. Space is limited on this event — only 14 tickets available — so reserve your spot now. If your preferred ticket type is unavailable, please email us at info@slowfoodseattle.org.